It's crazy to think that it's already been two years since I got pregnant with my son Eli! Pregnancy is such a beautiful, exciting, and sometimes challenging season that leads to the even more challenging and exciting journey of parenting. 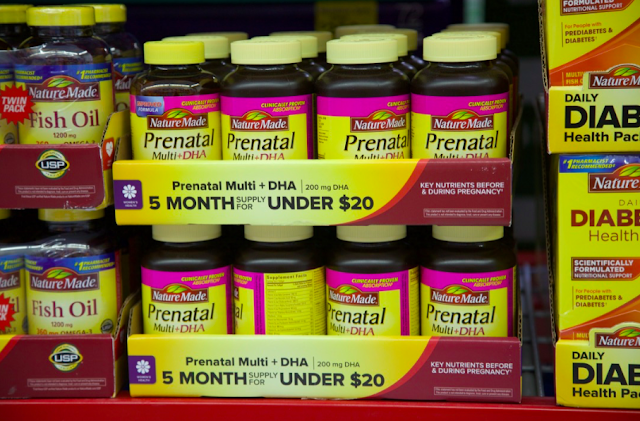 In this season of overwhelming preparation, it can be hard to know what you really need as a pregnant woman! Here are seven tried and true pregnancy essentials for expectant mothers. This may seem obvious, but you're growing a human, so don't even mess around with trying to squeeze into your old clothes. Once things start to get too tight, jump right into maternity leggings, flowy dresses and a bigger bra. I was mainly pregnant in the fall and winter, so I lived in my comfy leggings that I could dress up or down. There's no shame in wearing maternity clothes sooner rather than later- just embrace them. It's not worth it to be uncomfortable. Sleeping is only going to get harder as you continue to grow your sweet baby. Work hard now to set up a good sleep routine that may include new supportive pillows and an earlier bedtime (or maybe even a nap). You'll be glad you did once your baby is here and you're running on little sleep! You should start taking a prenatal vitamin six months before you start trying to pregnant, so I'm already taking my Nature Made® Prenatal Multi + DHA (200mg) 150 ct. softgels in order to prepare for baby number two! I took them before I got pregnant with Eli and they are BEST. 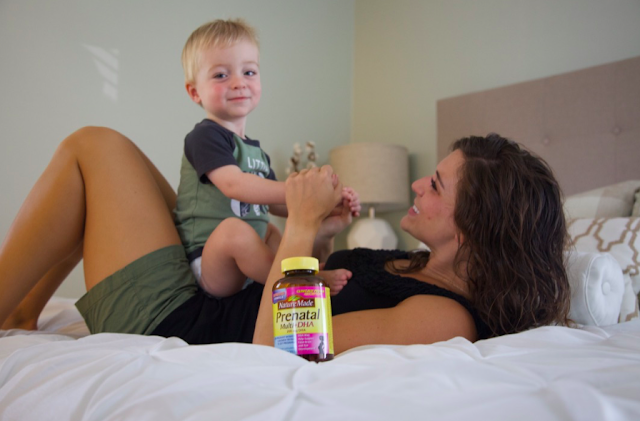 In fact, Nature Made® is actually the #1 Pharmacist recommended vitamin and supplement brand. * These prenatal vitamins are best taken with food, so I've always taken mine at night on a full stomach and I don't have any problem with them! The best news is that by taking these softgels once a day, you're providing essential vitamins and minerals for you and baby (before and after pregnancy) including Folic Acid, Calcium, Iron, Magnesium, Iodine, Vitamin B12, and Vitamin D3.† Folic Acid is an important B Vitamin for Women of Childbearing Age and Pregnant Women, and it plays a crucial role in the proper development of the baby's nervous system.† In addition, Nature Made® Prenatal from Sam's Club provides 200mg DHA, which may help support fetal brain and eye development.† I love that these vitamins pack a double punch and are so good for both mamas and developing babies. They're gluten free, with no artificial flavors or synthetic dyes! You can pick up your five month supply for a bargain at Sam's Club: the perfect place to meet your prenatal needs. 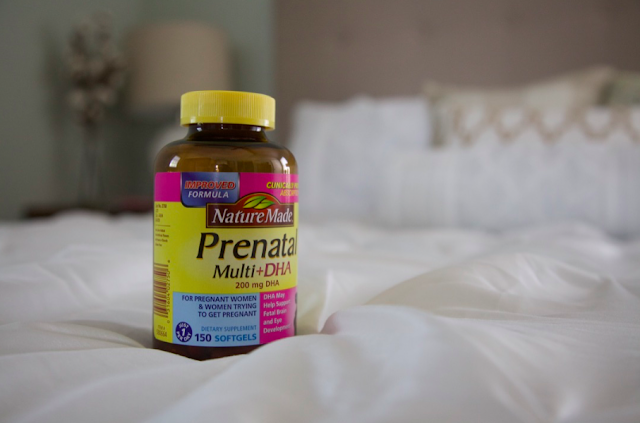 Don't skimp on the best for your little miracle. 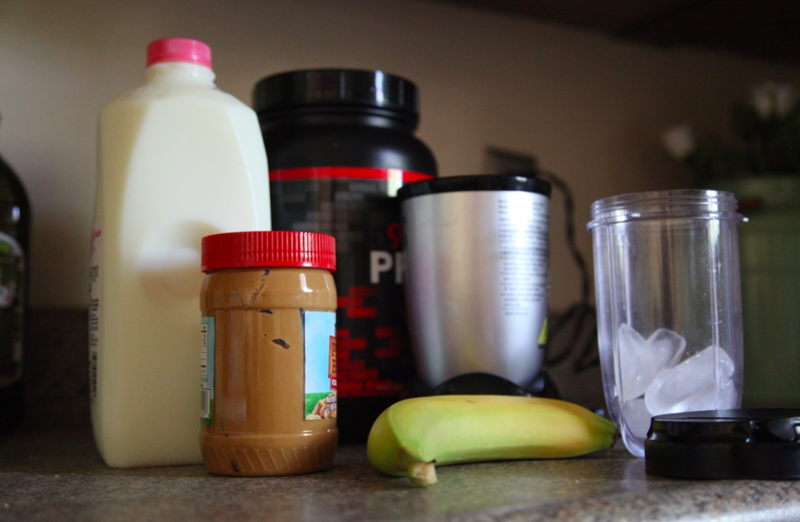 Throw all of these together in a blender and blend until smooth or slightly creamy. Enjoy! It can be hard to feel beautiful as you watch your body get bigger, but you have to remember that the rising numbers on the scale just mean that your healthy little baby is growing big and strong. Splurge a little and find a gorgeous maternity dress that will make you feel just as beautiful as you are while you grow a little life! You'll be drinking a ton of water while you're pregnant. Seriously, a ton! They recommend that you consume far more water than you're used to and you'll be making extra tips to the bathroom as result. Make sure you have a really great water bottle that will make it easy for you to stay hydrated! Pregnancy seems to march on and on, especially for those last few months, but honestly it goes so quickly as a whole! Find a fun way to document your pregnancy, whether that's weekly or monthly photos, a maternity shoot with a photographer, or even just a fun bump measurement. This time will be over so fast, so take time to treasure the beautiful journey of growing and carrying a child! 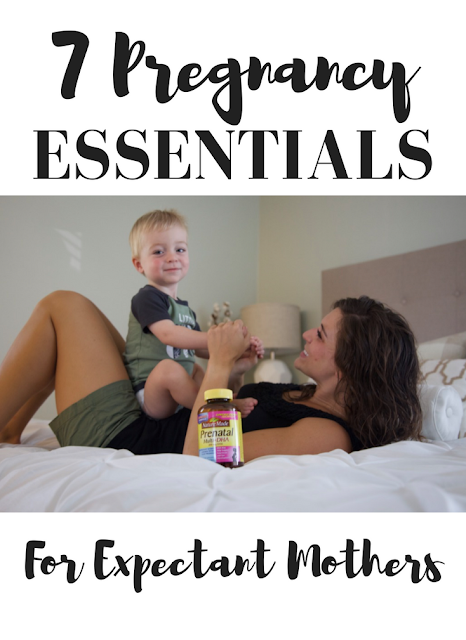 All of these were pivotal to my first pregnancy and I'm already thinking about them again as we move closer to getting pregnant with our second baby. 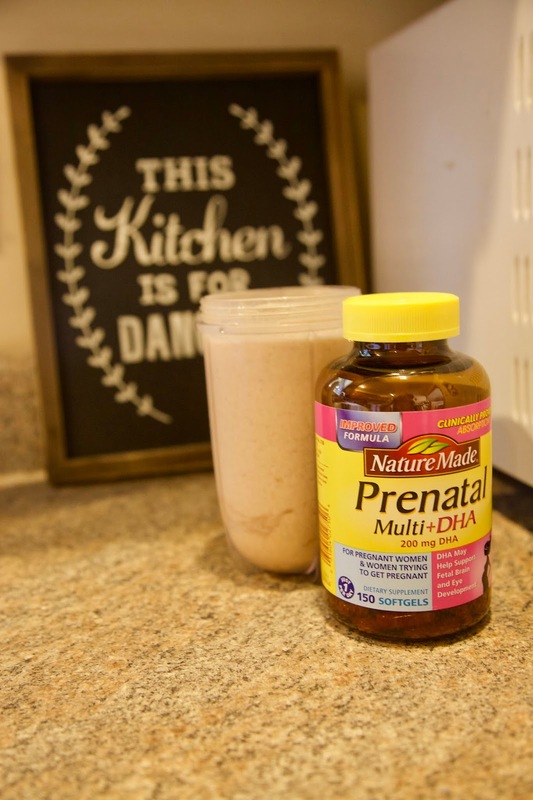 Don't forget to stop by your local Sam's Club to pick up your five month supply of Nature Made® Prenatal Multi + DHA (200mg) 150ct. 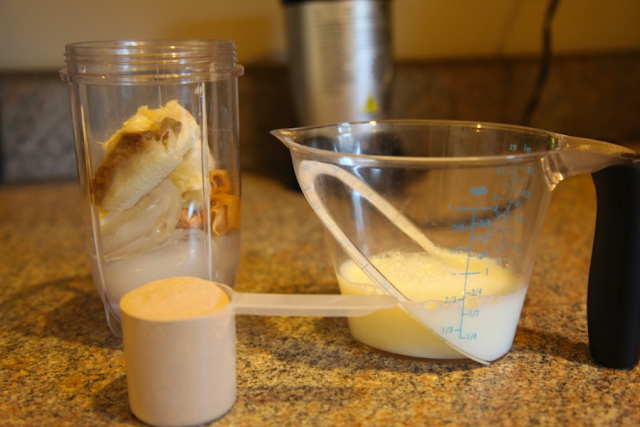 softgels and get your pregnancy off to a great start! You truly can't beat their quality or price. 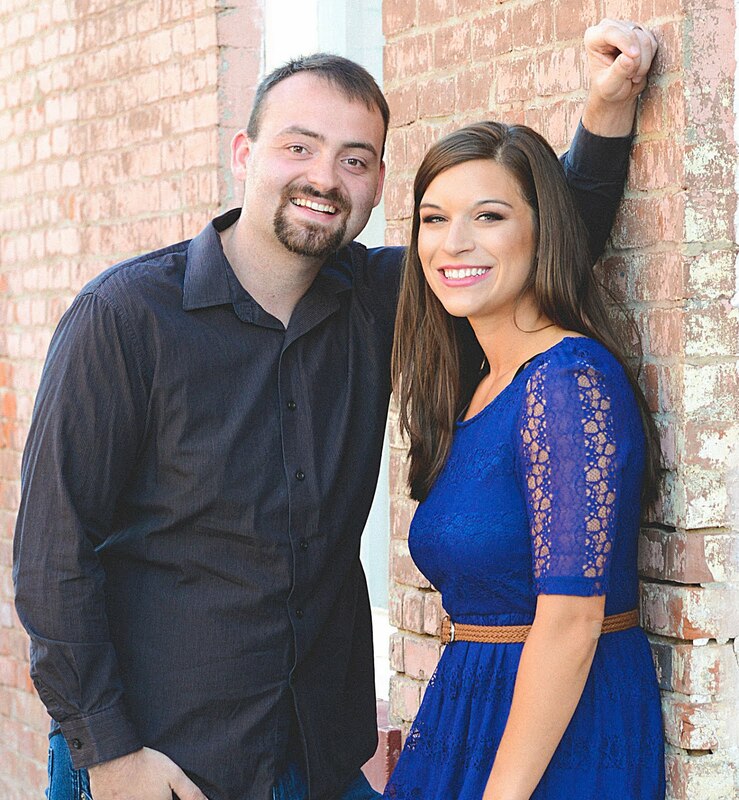 Pregnancy can be challenging at times, but this little one will be so worth it- I promise! Best of luck, Mama! Love this girl!!! I've been trying to prepare my body for a pregnancy for when we start trying this summer. I want to be in my absolute best shape so my body is ready to raise a baby!! and that snack looks delish. So fun! I'll be praying for you!